We've been watching and so should you! New TV shows are popping left and right — so deciding what you’ll actually watch can be quite a task. But if you’re looking for something that’s both informatiive and entertaining then you’ll defintiely want to add FOX’s “So-Me” to the roster. Redd not only knows her way around pop culture and political issues alike — she’s also a former beauty queen (she was crowned Miss Virginia 2003 and won swimsuit and placed in the top 10 at Miss America 2004). Because of that and so much more, Redd is not your average talk show host. This Harvard grad and working mom is the perfect combination of style and substance. For “So-Me” Redd joins forces with reporter Sam Schacher, comedian Tehran Von Ghasri, actress Roseny Carrero, and journalist Brett Erlich to host the show. We had the chance to catch up with Redd and ask her about the new gig, what it’s like being a woman of color in media, and more. ESSENCE: How do you feel about landing this new exciting gig? Nancy Redd: Thrilled! I got a phone call out of the blue from Heather Case at POPSUGAR who said she’d been watching me on HuffPost Live for a while and had a project that she thought I’d be perfect for. I auditioned and within two weeks I was changing my summer plans from Grandma’s house in southern Virginia to Los Angeles to tape the show! 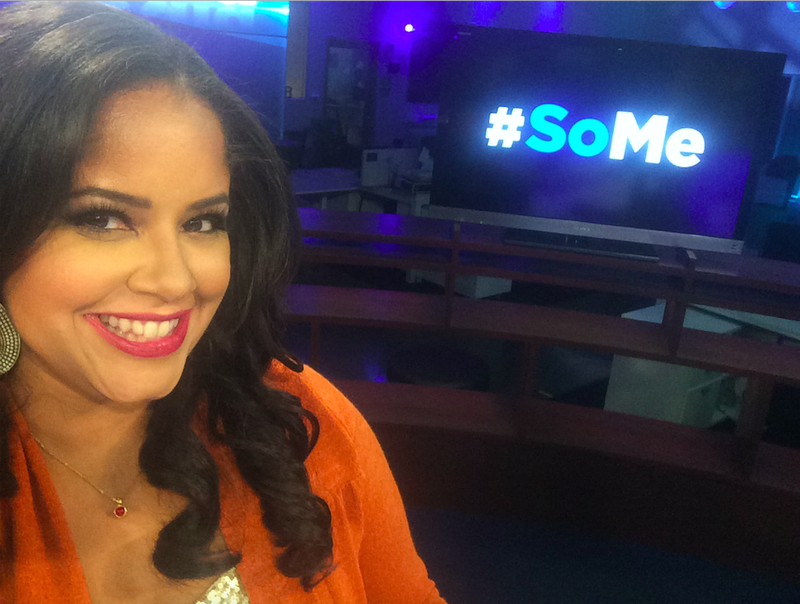 What should viewers expect from “So-Me TV”? A fun, fast-paced, provocative look at all the trending topics on social media you might be too busy to keep up with on your own. I’ve heard from folks that it’s their favorite new way to figure out what they need to Google extensively, and even a lot of busy moms who prefer to watch us for 30 minutes so they can keep their eyes on their kids during the day and not their screens. How important is covering topics that speak to the reality of minorities in the country? And black women in particular? That is why “So-Me” is so different from any other show on television right now – I get a mainstream opportunity to inform America that the #BlackLivesMatter movement was created by Black women (and share their names), to remind audiences that Janet Mock is the creator of #GirlsLikeUs and why that’s important, and to promote hashtags like #carefreeblackkids2k16. The executive producers MJ Witt, David Grant, and Hank Cohen (who is also the creator), were really passionate about casting five co-ed millennials from all walks of life who are heartfelt about their positions and perspectives. And we’re not just diverse in front of the camera -there is never a day that goes by that I’m not thankful for the phenomenal producing team, also chockfull of women and POC, which means that the stories that are chosen are from diverse social media feeds that represent America as a whole. Who do you think are some of the most informed and interesting voices in your space? My co-hosts! The Barbara Walters of our show, Sam Schacher, is so woke it’s incredible. I pinch myself daily that I get to be in the company of her and the brilliant Tehran von Ghasri, the witty Brett Erlich, and the impassioned Roseny Carrero. We love that you¹re a former beauty queen! Will there be any room to talk fashion and beauty on the new show? Any tips for curvy girls that want to look good on and off camera? WOC) has been patient with me, easing me into more color and out of the all-black ensembles I’ve been shrouded in since Baby #2. What¹s the best AND worst aspect of being a black woman in media? The WORST aspect of being a black woman in media is when folks in casting and production have an idea of what and who a Black woman in media “should” be and if you don’t fit that mold, instead of reconsidering their perspective they condemn yours. The struggle is real — but not impossible to overcome! “So-Me” is a prime example of the shift currently happening. Watch and be pleasantly surprised!